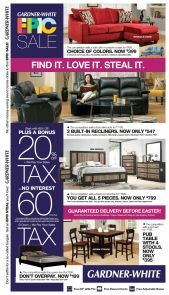 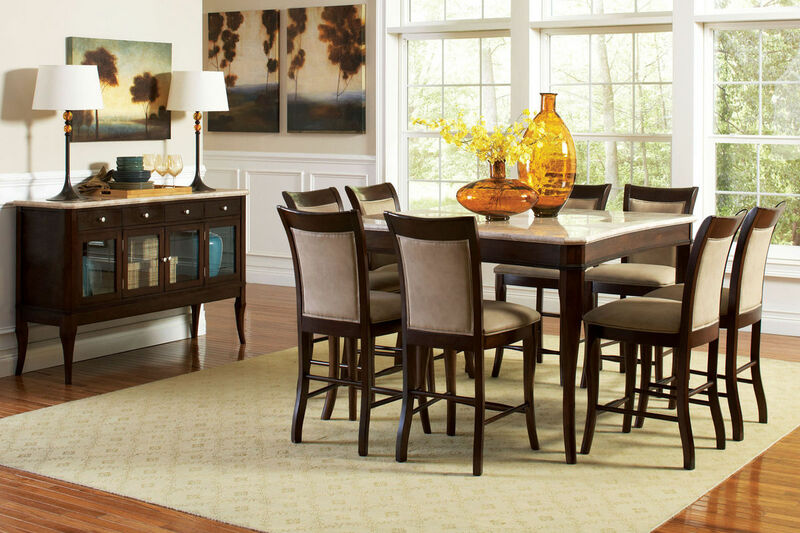 The Marseille Collection is a contemporary stone top set, perfect for those who appreciate style and durability. 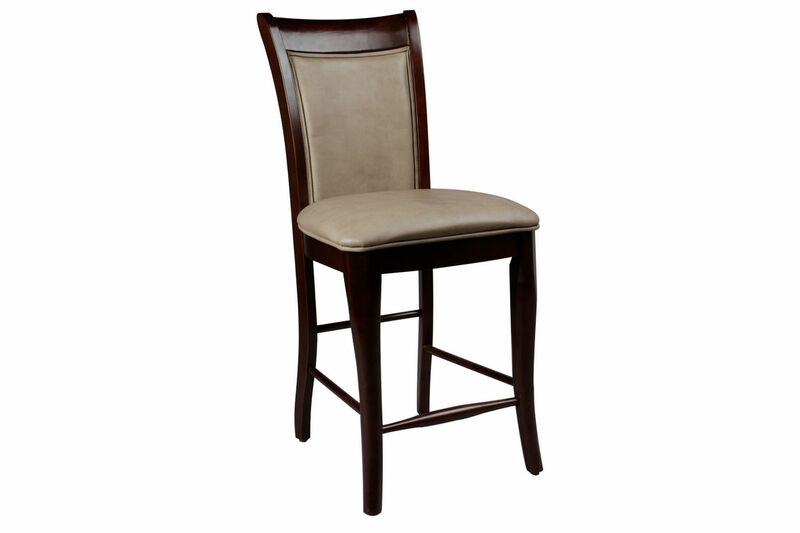 The set is superbly crafted with a dark cherry wood and light stone. 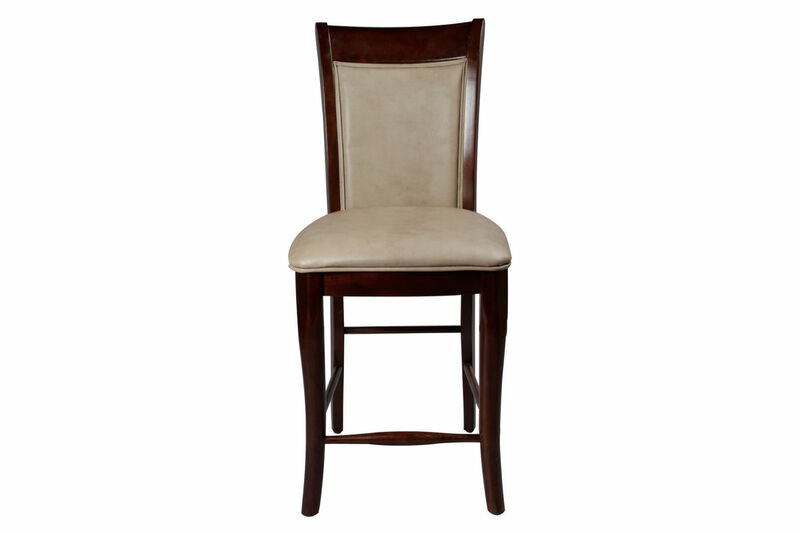 The stool seats and backs are also framed with the same dark cherry wood and upholstered in a soft, earthy fabric. 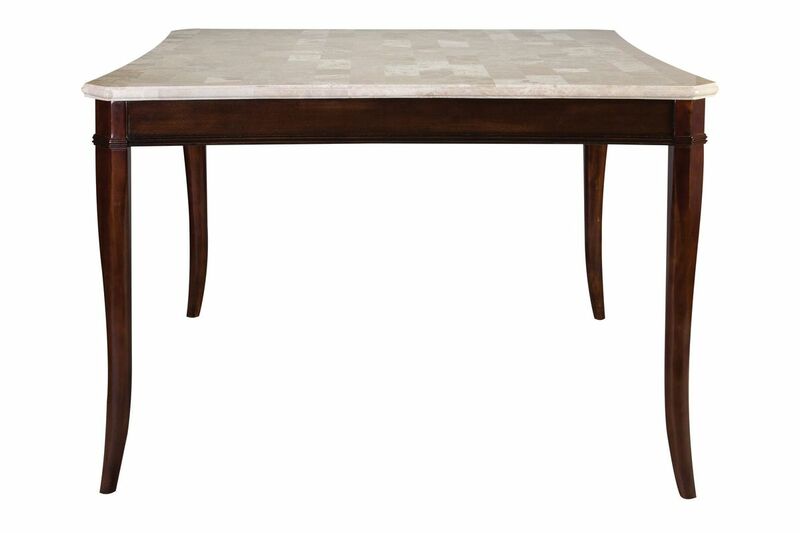 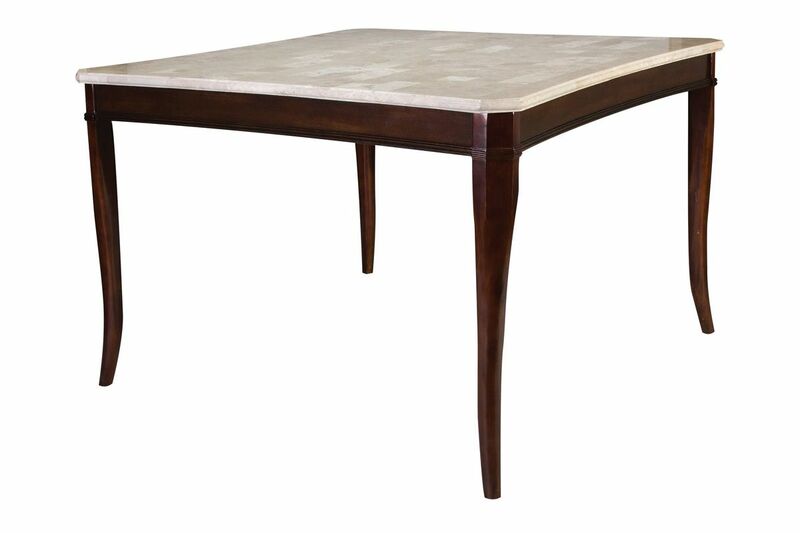 Marble Top Gathering Table: 54" x 54" x 36"
Gathering Chair: 19" x 23" x 41"